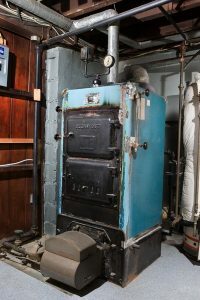 During regular maintenance, a technician will perform inspection checks that look for areas where the furnace could develop a safety hazard, such as in the heat exchanger or the gas line (if you use a gas-fueled furnace). The best way to avoid repair costs is to schedule regular maintenance. If you find yourself spending a lot of money on repairs, your furnace might not be getting as much attention as it needs to operate efficiently and effectively. Repair bills will cost more money than maintenance bills, so the best way to save money is to keep up with your system’s needs! Plus, maintenance will extend the lifespan of your furnace. As furnaces age, their efficiency naturally decreases. However, you can protect your system’s efficiency with maintenance! When all of the system’s parts are operating optimally, the furnace does not have to work as hard to circulate warm air throughout the house. When equipment struggles, the furnace needs more power to run, thus increasing your heating bills. Just like the warranty on your car, you need to keep up your end of the deal. The warranty on most furnaces is only good if you schedule regular check-ups for it. Touchstone Heating & Air offers both furnace maintenance and furnace repair in Gainesville, FL. We understand how important it is to have a working furnace. We want to help you save both time and money. Don’t wait until the last minute to schedule your service. We want to make sure you are warm and cozy this heating season and the ones to come. For furnace repair and maintenance, contact Touchstone Heating & Air.